An elegant black dress in which the intricate white patterning is alive and will link its wearer into the soil mycorrhizosphere. The latter is a vast network made by symbiotic root fungi which promotes plant growth through which plants have recently been shown to communicate forming a type of information network amongst plants. This is a first experiment. 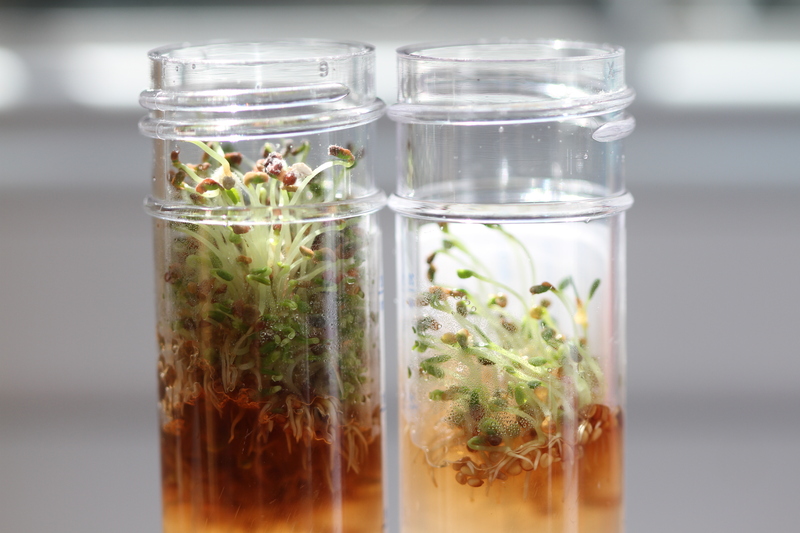 An equal quantity of seeds was added to the two tubes but only one contains mycorrhizal fungi. The results are striking. All done with items available at any garden centre so a little DIY Bio experiment too!